It’s been a long time coming, but last weekend I ventured up to Ames to explore Reiman Gardens. 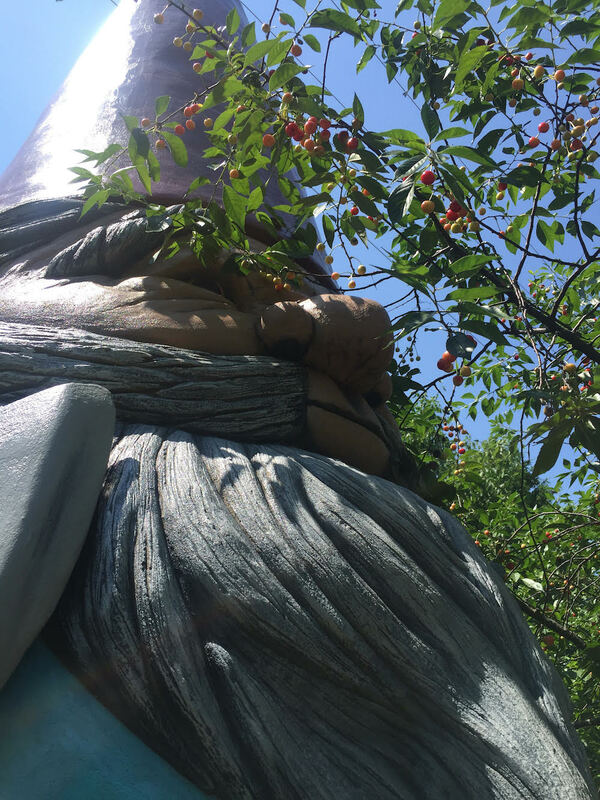 But more than anything, I was excited to meet Elwood the World’s Largest Concrete Garden Gnome. At 15 feet tall and 3,500 pounds, Elwood is no dwarf. 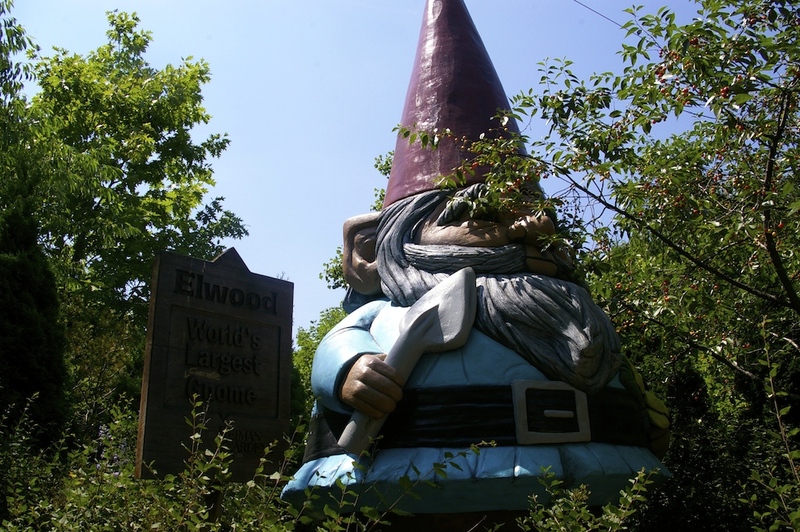 Built by Andy and Connie Kautza, artists at the National Rock & Sculpture in Wausau, Wisconsin, Elwood is made of iron cage covered in one cubic yard of concrete. The statue was unveiled to commemorate the 40th anniversary of Earth Day on April 22, 2010. Unfortunately the day we visited he was feeling a bit shy and hid behind some sweet cherry blossoms. Needless to say, it was hard to snap a good photo of him.